RDK Partners founded in 2010 has been offering advisory services on corporate M&A, bankruptcy and business strategies for mainly mid to large corporations. We have worked on diverse matters in several countries including the U.S., Korea, Colombia, Panama, and Peru. In 2016, RDK Partners entered into a unique contract where we acted as a U.S. subsidiary of a foreign company. The client had no presence in the U.S. but had a clear aim to brand itself as an innovative U.S. company and launch its products here even before its domestic market. The RDK Partners team approached this opportunity like a startup with our client being a very hands-on investor. The range of our tasks were expansive. We registered a U.S. company, drafted a shareholder agreement and by-laws, opened a corporate bank account, conducted focus group interviews, ran social media campaigns, operated street teams before the product roll-out, signed a lease for a warehouse on the West Coast, and solicited orders from big retailers. Given our previous accomplishments and realizing foreign companies’ needs, we decided to focus our services on innovative startups, early stage, emerging growth companies, and middle market enterprises making in-roads in the U.S. Our expertise, and lean and efficient team provide the best value to our clients and partners. Leveraging our prior experience, we envisioned RDK Partners becoming a long-term partner and making our clients successful in the world’s premiere market. Ryan offers a creative mix of experience gained while working in banking, government, and finance. He is known for his accomplishments overseas. At RDK Partners, he successfully has led negotiations in joint venture deals in Latin America and closed multiple bankruptcy and liquidity enhancement cases in the U.S. and Korea. Previously Ryan was Partnership Specialist at the U.S. Department of Commerce where he supervised a field team to promote government campaigns. At Mizuho Corporate Bank, he was tasked to manage risks of investments in structured products such as CDO, ABS and CDS. Ryan also worked on the bank's operational efficiency improvement projects. During and after the 2008 financial crisis, he drafted advisory memoranda discussing loan principal deduction for the U.S. House of Representatives Subcommittee on Housing and Community Opportunity. He holds M.A. in politics from New York University and dual Bachelors degrees in statistics and economics from the University of California, Berkeley. Steve brings more than 13 years of legal experience in addition to a plethora of business experience to the table. Steve has counseled clients in business entity and formation, labor and employment issues, contract drafting and interpretation as well as advising clients in the areas of private equity and finance. Prior to joining RDK Partners, he worked as an associate attorney at Hartman and Craven, LLP and Rutherford & Christie, LLP. He is a partner in the firm Cowie & Pipenger, LLP. Before pursuing a legal profession, Steve worked in the telecom industry supporting the design and construction of large terrestrial and satellite networks for the Federal Aviation Administration and the Department of Agriculture. He was a member of congressional staff in Washington, D.C. while also serving as a policy writer for the Presidential Campaign of former U.S. Senator Bob Dole in 1996. He received his J.D. from Seton Hall University Law School, and B.B.A. from The George Washington University with a focus in finance. Yosuf is a passionate designer with multi-faceted expertise in illustration and graphics animation. His longstanding interest in visual arts has served him well since he was a young student receiving several distinctions. In his role at RDK Partners, he supports our Business Strategies and U.S. Operations Practices where his contributions are integral to our success by creating solutions in brand identity, print and digital media, and visual contents for social media. Yosuf earned his B.F.A. in Illustration and Motion Graphic Design from Parsons School of Design, The New School. He is a former dancer who trained with emerging actors. He is often seen taking phenomenal photos in New York City. Bryan is a User Experience design specialist and proven interaction designer with more than 17 years of professional experience. At RDK Partners, he mainly focuses on product development to maximize consumer experience. Bryan is our main interface in Korea managing our business administrations and communications with Korean clients and partners. His previous employers were global companies including LG Electronics and Korea Telecom, or KT, where he successfully executed a number of design projects on innovative ICT devices, and a variety of services including mobile, media, automotive and enterprise solutions. Most recently he was Director of UX team and Product Manager at Encored Technologies, a promising startup that has raised capital from Soros Fund and Formation 8. 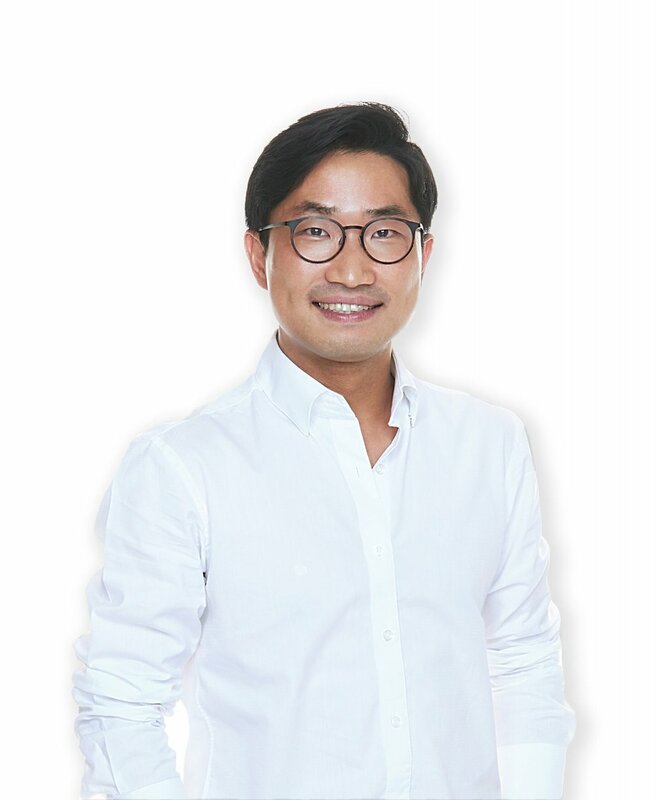 A frequent lecturer at T-Academy and several UX design courses, Bryan holds Master of Science and Bachelor’s of Science in Industrial Engineering from POSTECH.